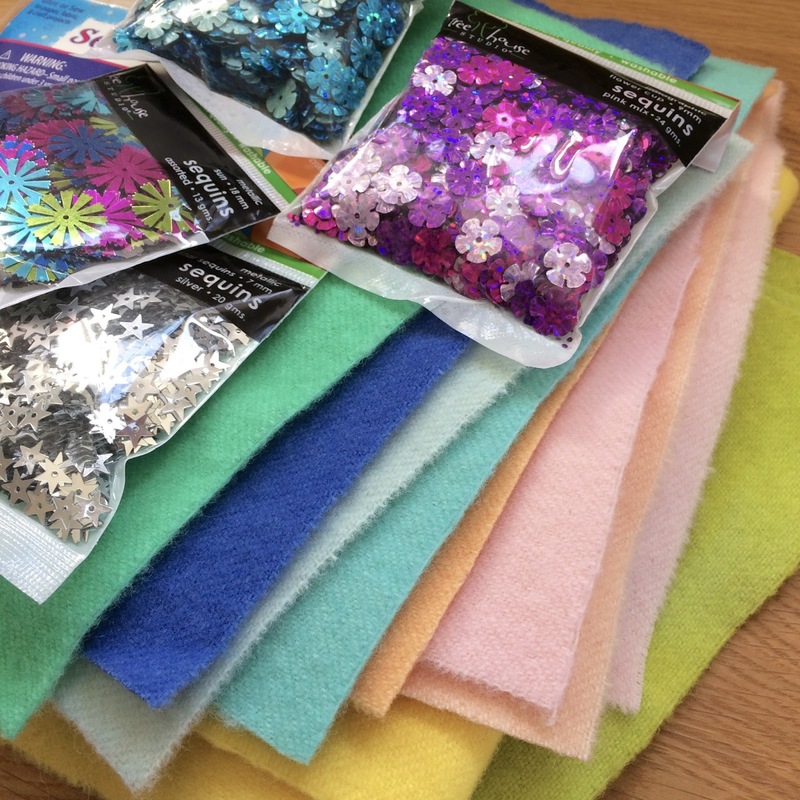 So, I took the plunge and broke into the packets of sequins which have been in one of my sewing drawers for such a long time! I was really out of my comfort zone but I think it has gone ok. 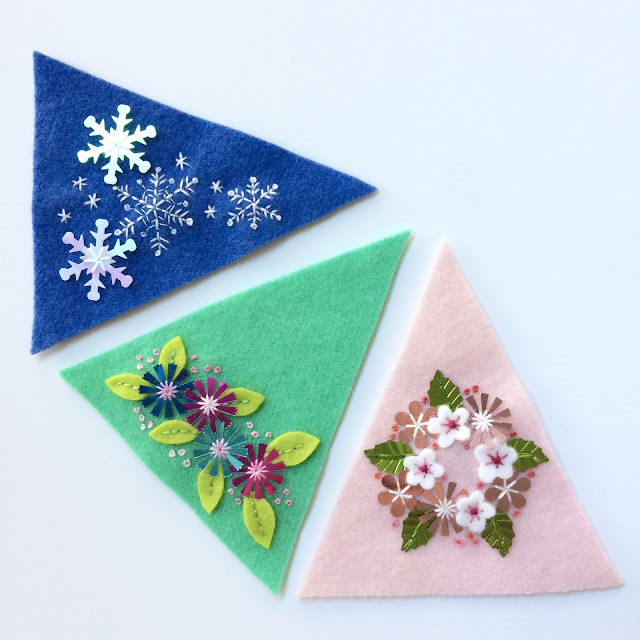 I cut triangles out of these sheets of felt for the tree shaped ornaments. 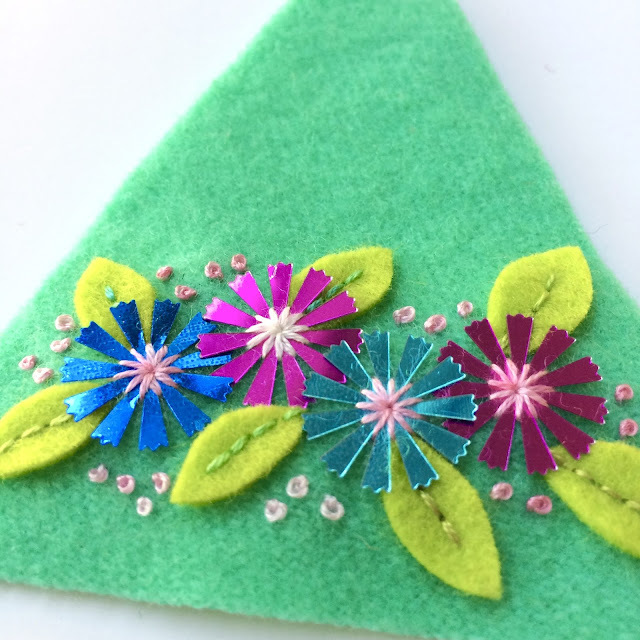 Then I sat down with the sequins, my box of embroidery floss and lots of felt scraps. This one is my favorite but that is probably because it's pink! 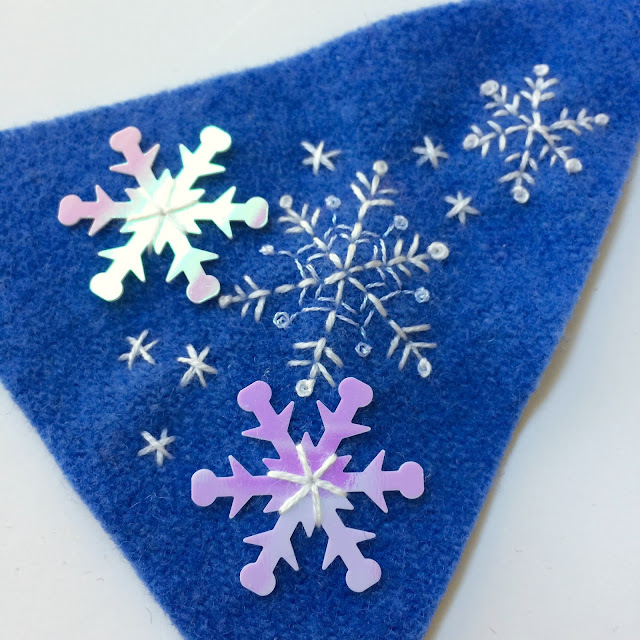 The snowflake sequins on this blue tree are iridescent white. The iridescence is in shades of pink and purple so it has the (unintentional) feel of that famous icy Disney movie! I'm pretty happy with how these have come out. The only issue I had was with the pink one and layering the felt and sequins. 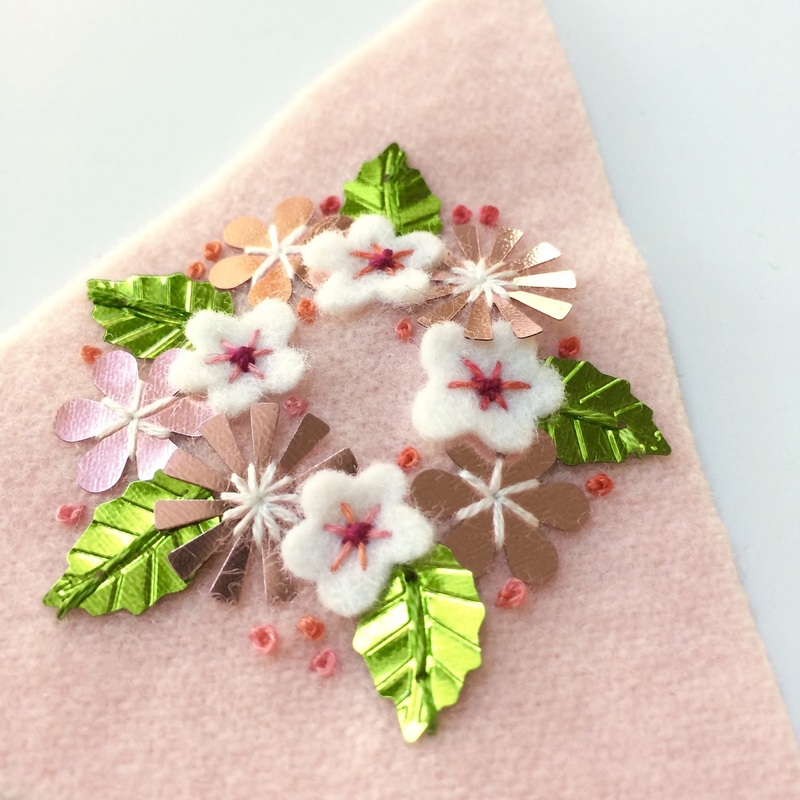 I had to really watch the placement of the flowers as you can't easily stitch through the sequins except for where they have holes.